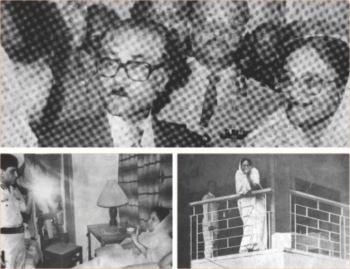 Twenty-two years ago on December 6, Bangladesh went through a painful rebirth. The fall of Gen (rtd) HM Ershad in a mass upsurge, followed by assumption of democracy, ushered in a new dawn in the lives of ordinary Bangladeshis. Hundreds died in the anti-autocratic movement against Ershad's regime and a democratically elected government promising to establish justice and rule of law took reign. What united the ordinary Bangladeshis in their effort to throw Ershad in the dustbin of history, where he really belonged, is the Joint Declaration of the Three Alliances, which was circulated on November, 11, 1990. The declaration talked about a society based on equality, where workers and farm labourers would be given their due rights and all laws contrary to universal declaration of human rights would be abolished. The Alliances promised to make the judiciary independent, and the government-run radio and television were also supposed to become autonomous. Two decades on, the state still runs torture chambers, several law enforcing agencies carry extra-judicial killing, where people are abducted only to be found dead later. The impunity with which these acts, barbaric and undemocratic that they are, are carried out makes a mockery of justice and rule of law. Judiciary is not fully independent, parliament is dysfunctional; the bitter acrimony between the two leading ladies in Bangladesh's politics has rendered all our political achievement ineffective. Even though the country has a semblance of Westminster-style democracy, the constitution gives the Prime Minister all the powers she can dream of; to make matters even worse, she also remains the head of the ruling party, a murky situation where the government and the party in power become one. The use of money and muscle remains high in the elections, which turns many potential good candidates away from the foray. The quality of leadership has also plummeted sharply, making politics a playground for a nouveau-riche who sees politics as a means to get rich quick. Bangladesh is waiting for the Third Republic, a miracle to happen. In fact, the country is at a crossroads now. The bitter rivalry between the two major political parties and the abolishing of the caretaker government have created a situation in which the country's politics might soon find itself at a dead end. The emergence of a third alternative seems to be a far cry, as the Left are in disarray and the other forces haven't been able to take their message to the ordinary people. The latter has remained capital-centric and has not been able to grow into a political entity. It is difficult, impossible almost, to predict the shape of things to come. The squabbling between two parties and violence in the street have given birth to many unfortunate situations in the past, and history suggests that the country's politicians never learn from their mistakes. Presently, the possibility of a return to the days of violent street agitation seems close, and the country's political leadership has not done much to unite the nation. As the two major political parties remain at loggerheads over the next general elections, chances are high that the situation might deteriorate further, destablising the country and its economy. It is, in fact, the same old story that has repeated itself in the last two decades. The transition of power has never been smooth since the restoration of democracy in 1990. In 1996, a group of army officers led by Lt Gen (rtd) Abu Saleh Mohammad Nasim tried to seize power, but in a rare instance where the constitution outshone the gun, the coup was foiled by the Ninth and 33rd Infantry Divisions (stationed in Savar and Comilla) of the Bangladesh Army. It was rather smooth in 2001, but the elections were marred by the opposition Awami League's (AL) refusal to accept the results, blaming the then Chief Adviser (CA) Justice Latifur Rahman for siding with the Bangladesh Nationalist Party. The most violent and difficult transition took place in 2007 when the AL refused to accept Justice KM Hassan as the CA. 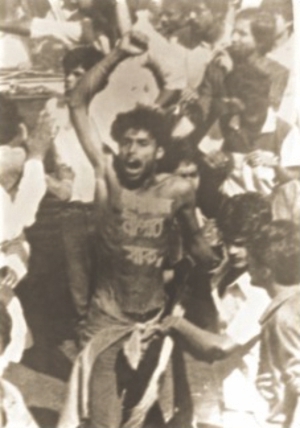 Violent protests in the street and the then BNP leadership's arrogance paved the way for the declaration of state of emergency, which paved the way for the installation of a military-backed unelected government that ruled the country for over two years. The lessons from the 1/11, as the 'soft coup' of 2007 is known, is that politics doesn't like vacuum, which sooner or later will be filled by those who can step in and are capable of taking the lead. Time is running out on both the parties, who are stuck to their demands and have so far refused to give the others an inches space. It has been bad as it is, the entrance of Jamaat-e-Islami (JI) in the scene and the government's double standard in handling the party that actively opposed Bangladesh's independence does not bode well for the nation. The way out lies in creating national consensus on the major issues of the day. The AL must realise that the Caretaker Government system is hugely popular among ordinary Bangladeshis who believe that only an election held in a free and fair manner can ensure their basic rights as citizens. Any election held under a partisan government might not be accepted by the people, let alone other political parties. There is indeed a chance that the AL might lose the elections if it bows down before the BNP's demand, as it will make the former look weak. On top of it all, never in any elections held after the restoration of democracy has the incumbent faired well. But if the AL reaches out to the BNP and holds dialogue, it will put the country's democracy in a strong footing. Two of the driving forces behind anti-autocratic movement have been Sheikh Hasina and Khaleda Zia, their leadership and pragmatism steered the country through troubled waters in the early nineties. Now is the time the two leading ladies sit together to decide the country's political future. Only time can tell if the they will be able to rise up to the occasion or else we might have to see a repetition of history in the days to come.